Photo: Elayne Forgie, Founder, President & CEO of Alzheimer’s Care Resource Center and Linda Shaifer, Account Executive for Sonas. 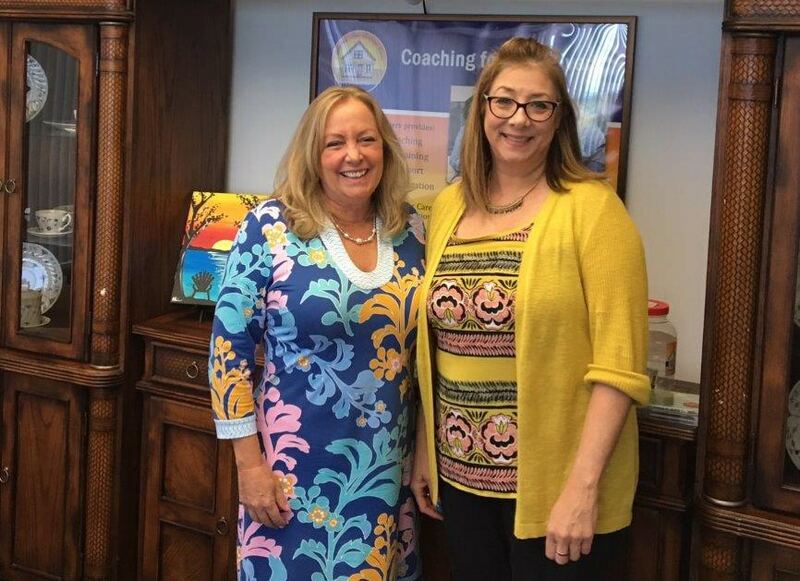 Linda Shaifer, Sonas Home Health Care Account Executive serving North Palm Beach County, recently visited with Elayne Forgie, Founder and President of the Alzheimer’s Care Resource Center (ACRC) located in Lake Worth. Linda received an education on all the programs and services of ACRC that are designed to help at any point in the caregiver’s journey. Four years ago, Elaine and her husband founded ACRC, a 501(c)(3) non-profit organization. ACRC was founded based on their passion for helping the secondary victim of Alzheimer’s Disease…the family caregiver. These “unsung heroes” needed help navigating the complexities of caring for someone with Alzheimer’s disease or other neurocognitive disorders. They realized there was nowhere to turn for support and information in their quest to keep their loved ones afflicted with Alzheimer’s and related disorders safe and well cared for each and every day. The ACRC is the only organization in Palm Beach County dedicated to family caregivers. The mission of Alzheimer’s Care Resource Center is: To provide a warm, comforting and supportive gathering place for caregivers and families of those diagnosed with Alzheimer’s disease, dementia or other neurocognitive disorders, to receive services, and access programs, designed to improve their quality of life, while helping them navigate the changes and challenges that accompany caring for someone with memory loss; from diagnosis through end-of-life-care. For more information about this wonderful program log onto https://alzheimerscareresourcecenter.com/ or call (561) 588-4545.